Marriage is often considered to be a sacred union and is usually marked with important rituals and traditions. Many of these traditions are so ingrained in our society that we never stop to think about their origin. If we did, we’d be surprised to learn that most of our everyday marriage traditions go back centuries. The idea of honeymoons as we know them today began in the late 18th century. However, the etymology of the word comes from the Old English phrase “hony moone.” “Hony” was a reference to honey and the “indefinite period of tenderness and pleasure experienced by a newly wed couple,” while “moone” referred to the fleetingness of this sweetness and the waning of love. Others suggest that “honeymoon” refers to times when a shortage of women meant that brides had to be forcefully captured by men. After a woman was abducted by a man, the woman’s tribe would pursue the couple in an attempt to rescue the bride. Thus, the man had to bring his bride into hiding for about a month, during which time lots of mead, a drink associated with sweetness and sensuality, was consumed. It is commonly believed that the idea of a bachelor party dates back to the fifth century BC, with ancient Spartans being the first to celebrate the groom’s last night as a single man. 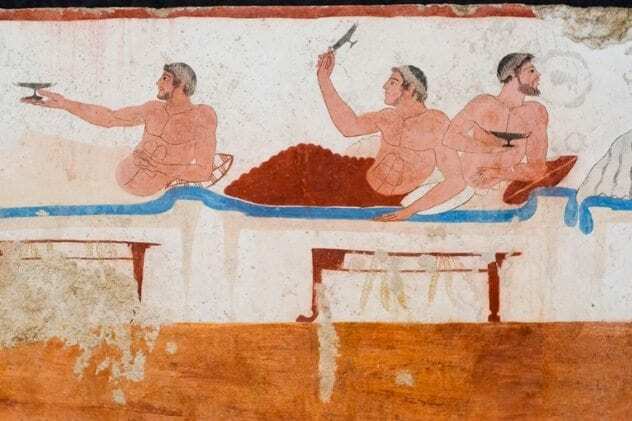 Spartan soldiers held a feast for their friend and toasted on his behalf. The idea of this bachelor dinner continued into the modern times. In the 1940s and 1950s, a “gentlemen’s dinner” was commonly thrown by the groom’s father the night before his wedding. This dinner was both an occasion for male bonding and a way of celebrating the groom’s transition from the life of a single man to that of a married man. The tradition of the best man goes back to Germany’s Goth community, where kidnapping the bride was common due to a shortage of women. The bridegroom would often ask his closest friend to accompany him to the village or town where the woman he wanted to kidnap lived. Since the bride’s family would often try to rescue the bride, the best man’s duty was to safeguard the couple. The best man was also tasked with protecting the bride from other suitors. However, his most important duty was to stand guard during the wedding ceremony. He would stand at the right-hand side of the bridegroom armed with a sword, making sure that no threat interrupted the ceremony. 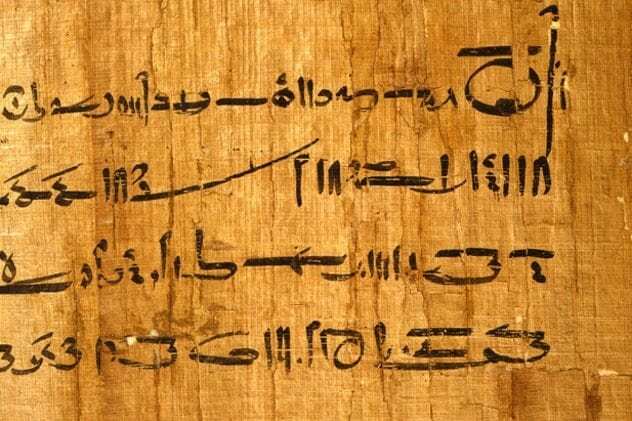 It’s generally believed that ancient Egyptians were the first to use rings in a wedding ceremony. These early rings were made by forming braided hemp or reed into a circle, but since reed rings weren’t exactly durable, rings made of bone, leather, or ivory eventually replaced them. The husband would place the ring onto his wife’s finger, which symbolized his confidence in her ability to look after his house. The Romans continued the wedding ring tradition, but more often than not, the father of the bride would receive the wedding ring as a symbol of bride purchase. By the second century BC, the ring would be given by the groom to the bride as a way of showing her that he trusted her with his valuable possessions. It was only in the 1940s that men’s wedding rings became popular in the Western world. Men first started wearing rings during wartime as a way of showing their remembrance and commitment to their faraway wives. 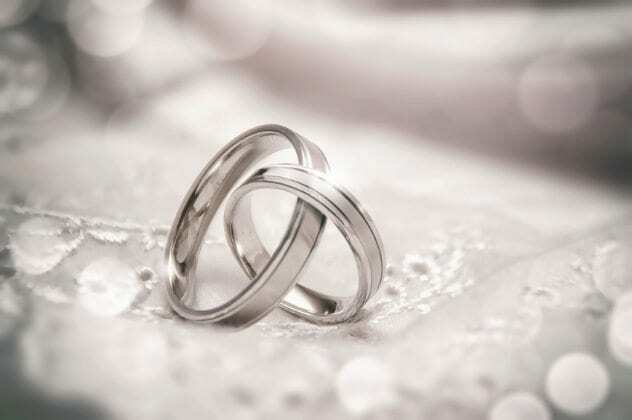 After World War II ended, the tradition of men’s wedding rings stuck and is still popular today. Some attribute the origin of carrying the bride over the threshold to the ancient belief that young, innocent girls were extremely susceptible to evil spirits. It was believed that evil spirits lurked on the threshold of doorways—the portal between the worlds of the living and the dead. Given the opportunity, they would enter the girl through the soles of her feet. Thus, to protect his bride, the husband carried her through the threshold in his arms. Others argue that the tradition stems from the time when brides were kidnapped. As kidnapped brides were not likely to enter the husband’s home willingly, they were often dragged or carried in. Back in the day, people believed that owning a piece of a bride’s wedding dress would bring good luck. This often led to the bride being physically attacked by their guests, who would tug and claw at her wedding gown. Tired of physical assault, brides started to wear garters as pieces of clothing that could be given away for luck instead. Another popular belief was that the garter was proof that the marriage was consummated. It is said that the groomsmen would enter the newlywed couple’s quarters late at night to confirm that the marriage was consummated, taking the garter back with them as proof. The Hebrew marriage contract, known as the ketubah, dates back at least 2,000 years and also sets out the husband’s financial obligation to his wife in case of divorce or widowhood. 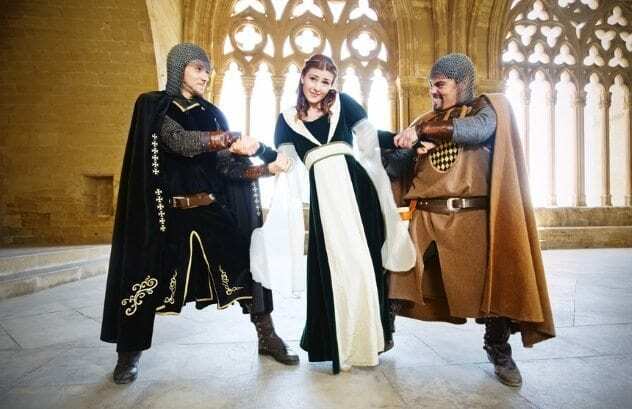 By the ninth century AD, husbands in Europe were required to secure a third of their property to their wives on their deaths as “dower rights.” “Dower” was the share of a deceased husband’s estate, to which his widow was entitled to after his death. The tradition of a wedding cake originated in ancient Rome, where the groom smashed a barley cake over the bride’s head. In medieval England, sweet buns would be stacked as high as possible for the newlyweds to kiss over. If the kiss was successful, a prosperous life was guaranteed. But not all early wedding cakes were delicious, sweet treats. Most contained minced meats or mutton. 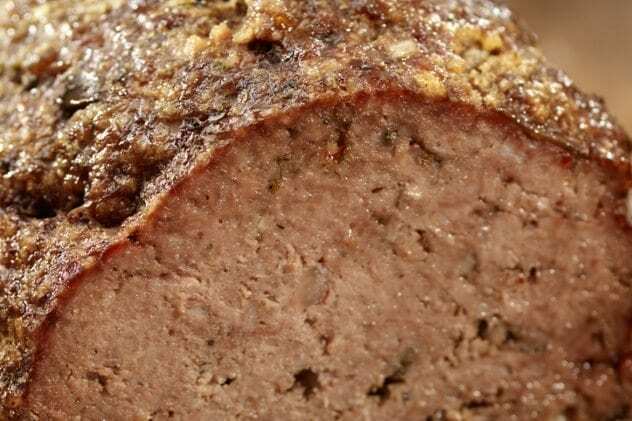 One of the earliest English recipes for a “Bride’s Pye” called for cockscombs, pine kernels, lamb testicle sweetbreads, oysters, and spices. Each guest had to have a slice of the pie; not to do so would have been considered extremely rude. A ring was often placed inside the pie, and whoever found it would supposedly be the next to get married. It wasn’t until the 17th century that bride pies were replaced with bride cakes, which were an early version of modern wedding cakes. It is generally assumed that the bridal veil predates the wedding dress by centuries, but its exact origins are hazy. Some believe that it derived from ancient times, when brightly colored veils were worn by brides as protection from evil spirits. Greek and Roman brides often wore red and yellow veils, which represented fire, to ward off evil spirits and demons. At one point in time, Roman brides were supposedly completely covered with a red veil on their wedding day. In early Europe, arranged marriages were the norm, and bridal veils were supposedly worn to prevent the groom from seeing the bride’s face until the end of the wedding ceremony, when he could no longer back out of the marriage if he did not like the look of his bride. Since the ancient Romans believed that evil spirits loved to bring misfortune to brides during wedding ceremonies, they came up with the idea of using bridesmaids as a way to confuse them. Up to ten bridesmaids would dress almost identically to the bride and accompany her to the wedding proceedings. Unable to distinguish the bride from other women, the evil spirits would have no other choice but to leave all the women at the wedding ceremony alone. The tradition of bridesmaids dressing similarly continued well into the 19th century, as people still believed that the bride could be cursed by ill-wishers. A student from Ireland in love with books, writing, coffee, and cats.